A designer-director whose incredible work will charm you. Candice studied graphic design and photography and she’s had a successful tenure in the film industry for the past nine-years. Her love for animation, graphic and motion design comes through in all the work she’s done for award-winning campaigns and leading brands in different categories. Her passion lies in bringing a keen eye from design detail to live-action and an ability of adding an element of fashion to projects. In 2010, she started directing and worked on campaigns for Ackerman’s, Truworths, Foschini and Nature’s Source. She spent years developing her craft and learning every aspect of the video process. She enhanced technical aspects of her skills; figured out what successful design entails and developed an inherent feel for the nuances of motion. As a director, Candice draws on her background in design and animation to bring a strong art direction, styling and movement into all her commercials. With a clear focus on story and mood, she conveys depth of performance and unique personality in each commercial. 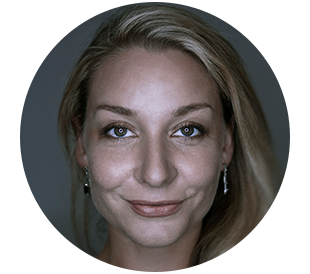 Candice usually edits and does any VFX, design or animation herself, adding a hands-on approach to every project. On set, she shoots with the edit in mind as well as keeping an eye on the technical aspects for the VFX. The stylistics vision is also carried through in the edit and post production. Her work is always gorgeous, detailed, dainty, clean and dazzling. It’s no surprise that Candice brings through her vision for the brand and campaign from the treatment stage to the final product.